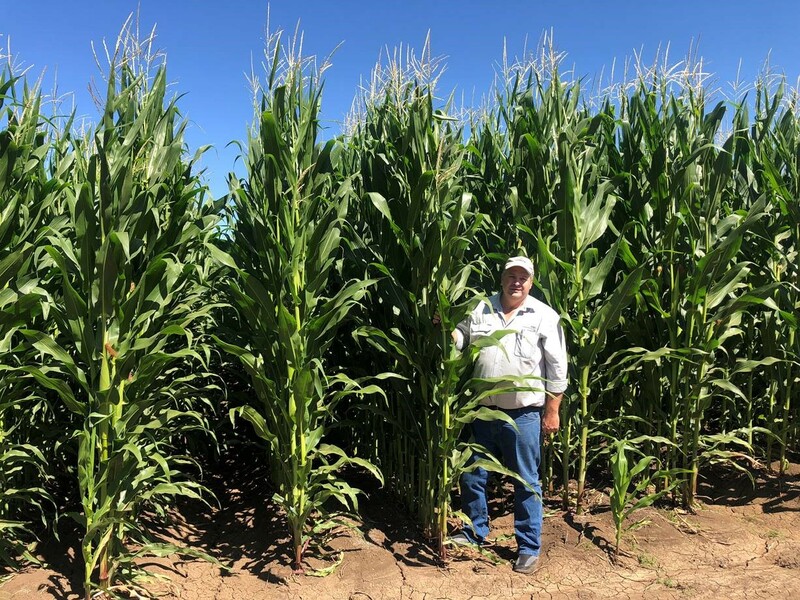 A SIGNIFICANT market that has emerged in South Korea for winter-grown Australian gritting corn is being supplied by growers in Western Australia’s Ord region who are making big agronomic gains with the help of FIFO agronomists Rob Crothers and Andrew Dieckmann from Pioneer Seeds Australia. Through the port of Wyndham, the region is now shipping its biggest ever corn program of 30,000 tonnes to customer Dong-Il Grain. “There is now a core group of growers who are looking at expanding their area to supply Dong-Il, and also a domestic feed market,” Mr Crothers, who is also Pioneer’s Toowoomba-based northern regional manager, said. Video: One of three shipments of gritting corn bound for South Korea and grown in the Ord loads at Wyndham in Western Australia. South Korea’s preference for GM-free corn used for human consumption brought Dong-Il’s senior managing director Un Hwan Yum to Australia some years ago to look for supply. 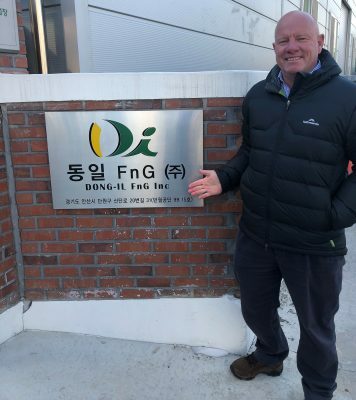 Pioneer Seeds Australia northern region manager Rob Crothers at the Dong-Il Grain office in South Korea. “We met at a summer grains conference at the Gold Coast, and got talking. The first crop was not without its problems. From a grower perspective, the 2017 experience was also less than ideal. With higher yields and larger kernels the objective, Mr Crothers gave an assurance to Mr Yum that improvements could be made in the performance of the Pioneer varieties as grower-members of the Ord River District Co-operative (ORDCO) came to terms with a crop that was new to many of them. Those decisions have covered type, timing and rates of fertiliser, watering schedules and amounts, and how to get the best results out of precision planters, which many growers were using for planting corn for the first time. Mr Crothers said the Ord’s corn producers had now grown in confidence, and were looking forward to their next delivery of planting seed from Pioneer in April in time for a May-June planting and harvest between September and November. Dong-Il is South Korea’s largest dry miller of human-consumption grit corn, and supplies manufacturers of breakfast cereals and snack foods, as well as producing cornflour. Ord growers are already established producers of crops including chia, chickpeas, cotton, mungbeans, vegetables, and melons. Mr Crothers said corn was showing potential as a good crop to grow during winter in rotation with cotton grown over summer.